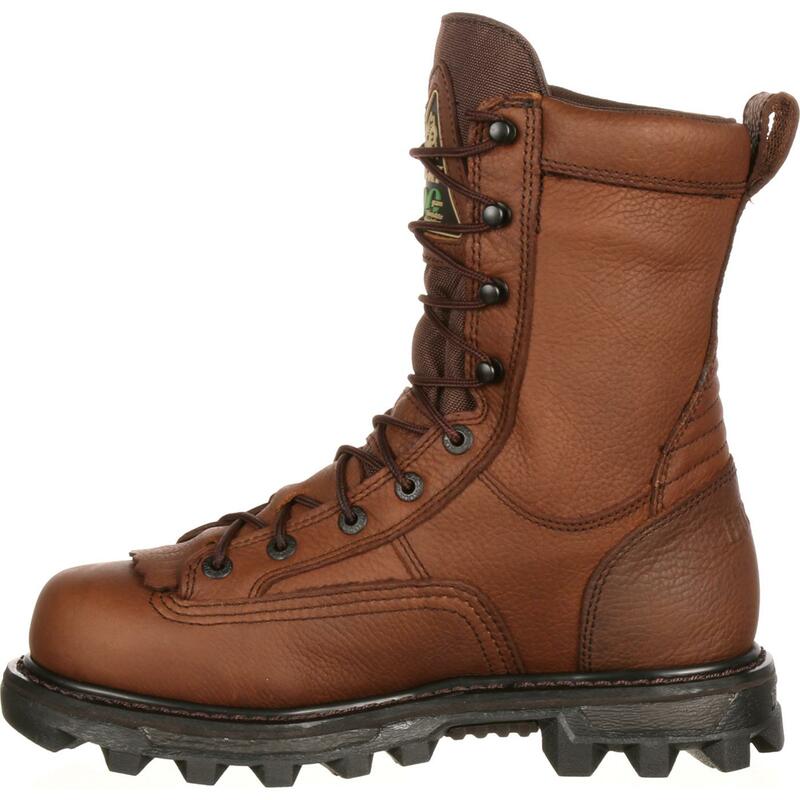 The Rocky 9" BearClaw 3D boots are great for hunting, but you may want to work in them, too. 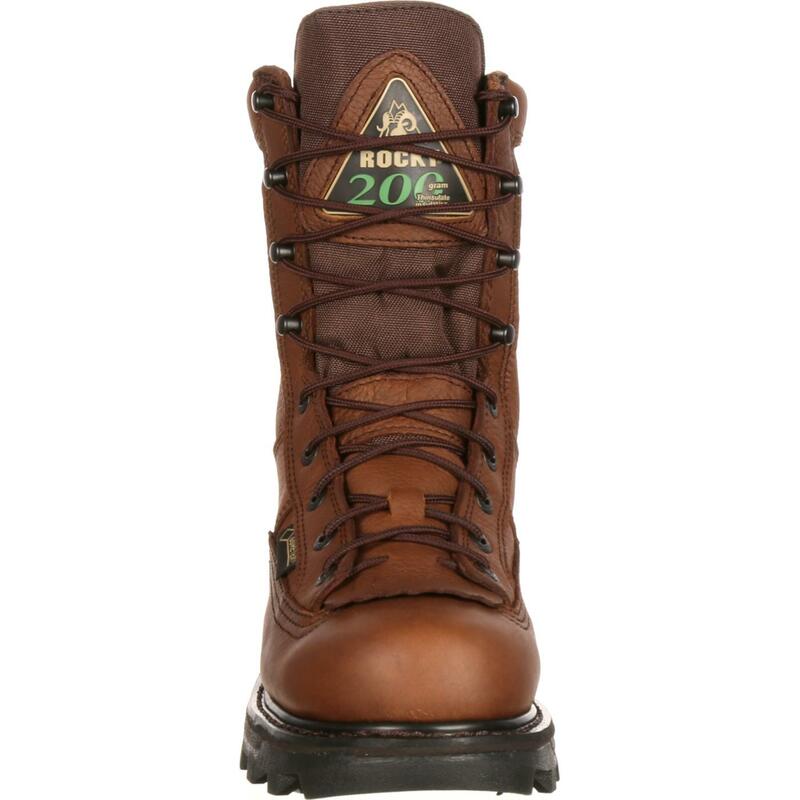 Regardless of where you wear them, the #FQ0009237 boots are durable, rugged and comfortable. 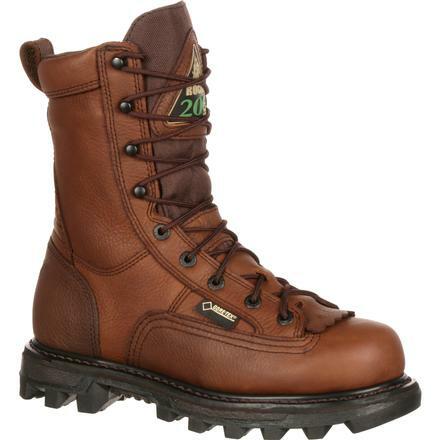 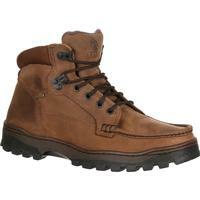 These Rocky boots are made with full-grain leather and tough nylon. 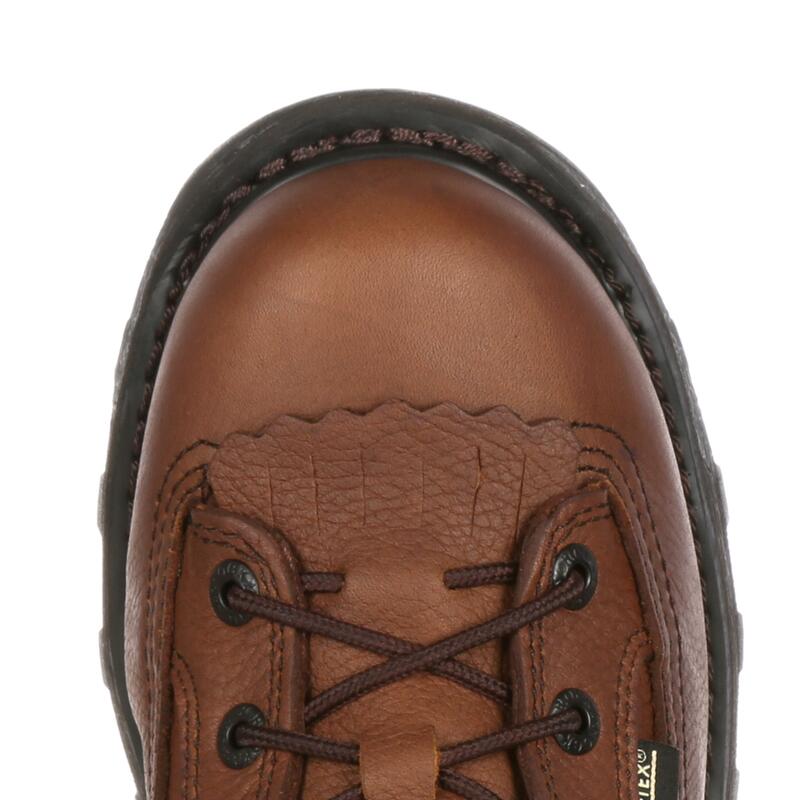 They have genuine Goodyear® welt construction and a storm welt for durability, shape-retention and a solid platform for hours of wear. 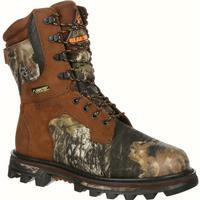 A breathable GORE-TEX® fabric membrane keeps moisture out and keeps your feet dry. 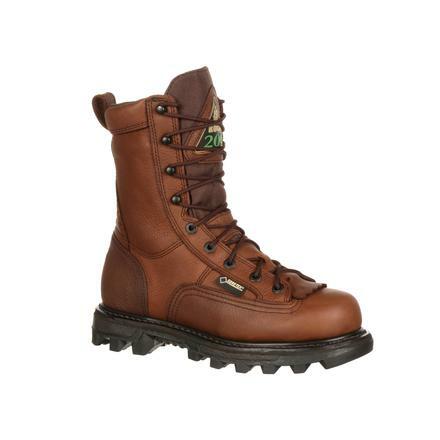 Rocky added 200 grams of 3M™ Thinsulate™ Insulation to the hunting boots to help keep your feet warm even on the coldest days. 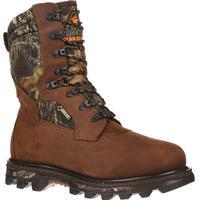 The lace-up system is a lace-to-toe pattern with eyelets, D-rings and hooks for maximum adjustment. 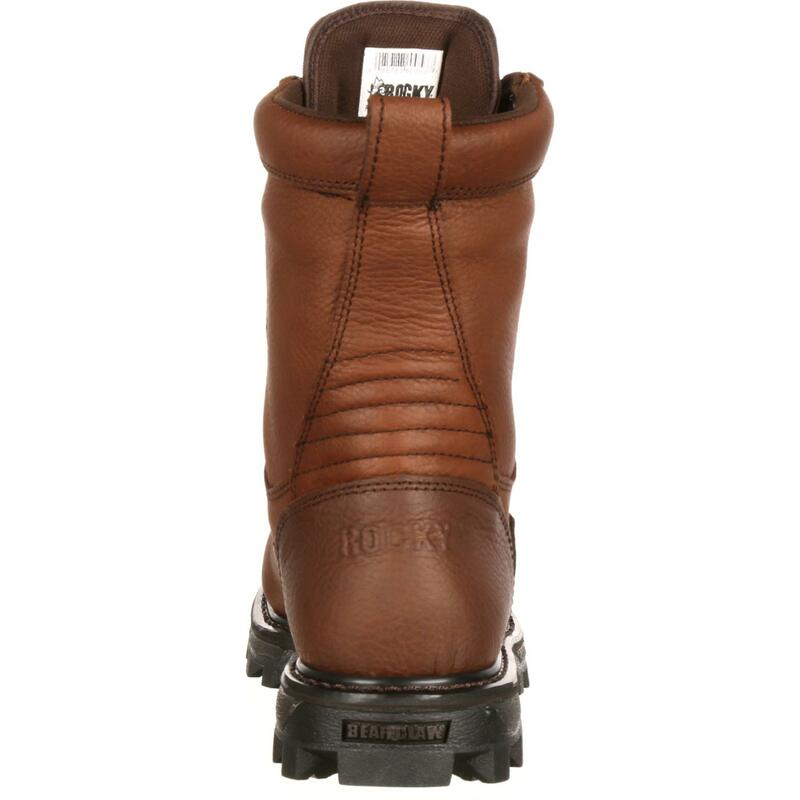 When you're walking, your feet are comfortable because of Rocky's exclusive polyurethane cushioned Air-Port™ footbed which also is perforated for air circulation. 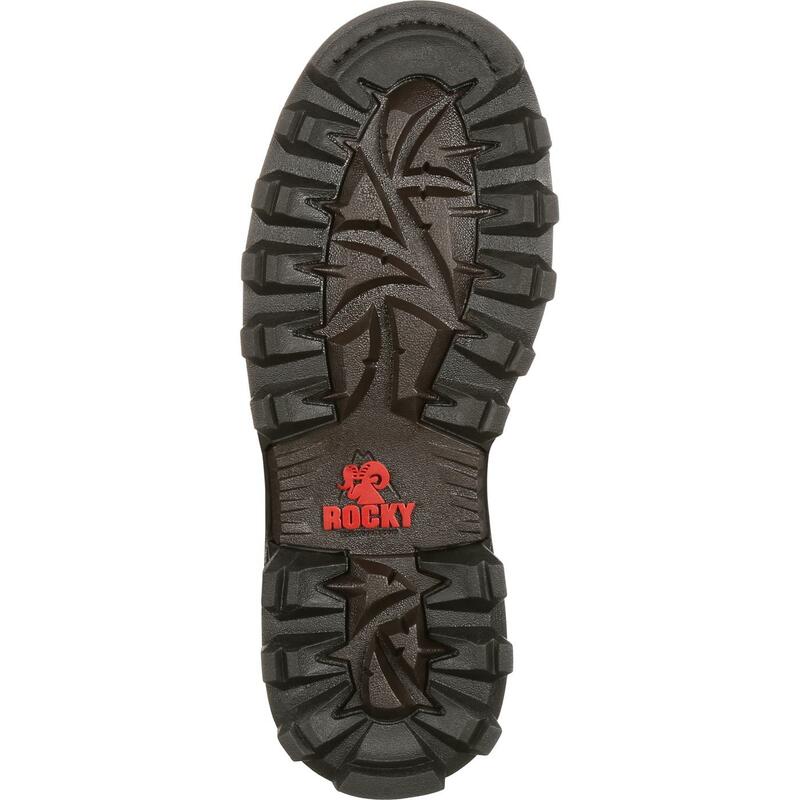 And, of course, Rocky's own BearClaw 3D outsole has a multi-directional, self-cleaning lug design that grabs the ground to be able to give you traction wherever you walk. 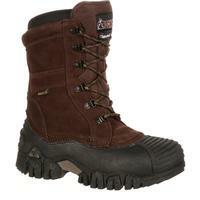 For waterproof, insulated boots with great traction, get the Rocky BearClaw.